Your health, finances, and connection with family are three important aspects that take up a good amount of your daily life. You drink water to survive, pay for water, and use water during your regular household routine. A human’s complete dependence on water is exactly why we need to take our water source seriously. 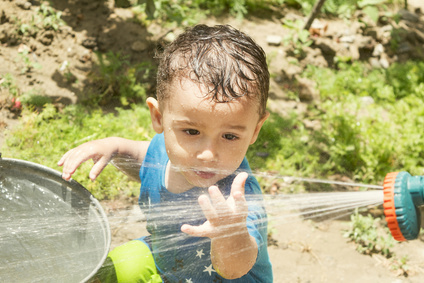 Public utility companies in southeast Michigan may offer you water for a monthly fee, but their way of transmitting that water to you may not be the best thing for you and your family. Instead of relying on public utilities, why not have a water source you know inside and out? That way, you can always make sure it’s clean and safe to drink. A New Haven well-drilling company can help you do just that. Allow them to bring a great improvement to your family’s lifestyle. From a public utility service, you’ll get annual results about your water that usually give you the details of what type of substances or metals may be in it. Throwing on a portable filter on your kitchen faucet may not be enough, especially if you regard how much water you’re taking in every day. If you have your own personal water well, you’ll know every detail about your water. Professional well-drilling companies will ensure that you are aware of the test results for your water so you can have peace of mind. No one should have to wonder about the quality of their water. Instead, take the necessary steps to make sure it’s 100% safe. One main reason why New Haven residents are switching to personal water wells is to save money. A utility bill can rise and drop at any time. Having something like that occur out of your control can be incredibly frustrating, especially when you’re trying to reduce financial stress. A personal water well can bring you one step closer to having true financial stability. When you discuss the installation of a personal water well with a well-drilling company, you are moving towards an investment that will grant you freedom from a monthly bill. You also won’t have to regulate how much water is being used by your family. A personal water well will bring only benefits to everyone in your household. You are in control of your water and your reliable well-drilling company will make sure the water traveling through your home is clean, filtered, and “soft” as they call it. It will also be tested and free to use at anytime. Whenever you feel like you’re having an issue with your well, your well-drilling company will come to help you right away. No need to hire a plumber or contact a public utility service that doesn’t see you as a priority. Looking for a New Haven Water Well Drilling Company? Take back control over the water your drink every day. 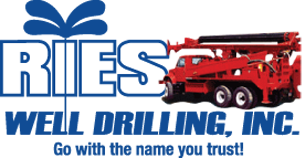 If you are searching for an experienced New Haven well drilling company, contact Ries Well Drilling, Inc. to discuss all the benefits of a water well installation on your property.